The following contribution to our arbitration symposium is written by Jill Gross, Director of Legal Skills and Professor of Law at Pace Law School. Professor Gross has published numerous law review articles about arbitration law and is a regular contributor to Indisputably, the ADR Law Prof Blog. In a federalism seesaw dating back to the mid-1900s, the Supreme Court has rebuffed state law-based defenses to the enforcement of arbitration agreements, such as the unconscionability doctrine, lack of mutual assent, fraudulent inducement, public policy principles, state arbitration statutes, and even arguments that the transaction did not "involve commerce. " The Court"™s decision last Term in AT&T Mobility, LLC v. Concepcion, while noteworthy for its condemnation of class arbitration, confirms the Court"™s intent to severely circumscribe the ability of state law to regulate the fairness of arbitration, and is thus consistent with its previous Federal Arbitration Act jurisprudence. It is well known that the Supreme Court construes the FAA as reflecting a strong federal policy favoring arbitration, and, as a result, courts must enforce arbitration agreements according to their terms. In the past twenty-five years, the Court"™s FAA jurisprudence has imbued the FAA with super-status: it governs virtually every arbitration clause arising out of a commercial transaction, its substantive provisions apply in both state and federal court, and section 2 "“ which declares that agreements to arbitrate are "valid, irrevocable, and enforceable, save upon such grounds as exist at law or in equity for the revocation of any contract" "“ preempts state laws that place an arbitration agreement on unequal footing from other contracts. Thus, the Court has held that the FAA preempts state statutes that prohibit the arbitration of a particular type of claim (Preston v. Ferrer (2008); Perry v. Thomas (1987); Southland v. Keating (1984)), state statutes that invalidate arbitration agreements on grounds different than those that invalidate other contracts (Doctor"™s Associates v. Cassarotto (1996); Allied-Bruce Terminix v. Dobson (1995)), and state judicial rules that display vestiges of the ancient judicial hostility to arbitration. (Mastrobuono v. Shearson Lehman Hutton (1995)). In contrast, the FAA does not preempt a state arbitration statute that merely dictates the order of proceedings with respect to an arbitration and related third-party litigation, but does not regulate the viability or scope of the arbitration agreement itself. (Volt Information Sciences v. Stanford University (1989)). This past Term, the Court held "“ for the seventh time — that the FAA preempted a state law "“ this time a state law that on its face was not anti-arbitration but was being applied by lower courts in a manner that de facto disfavored arbitration. 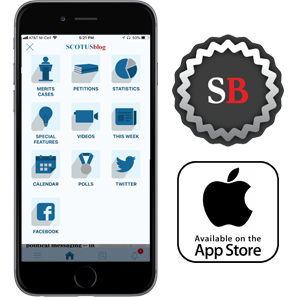 In AT&T Mobility, covered in detail here on SCOTUSblog, cellular phone service users sued their provider, AT&T Mobility, LLC, alleging that its practice of charging sales tax on a phone advertised as "free" was fraudulent. After numerous consumers"™ claims were consolidated with a putative class action alleging identical claims of false advertising and fraud, AT&T moved to compel arbitration under a pre-dispute arbitration clause in its service agreement which, inter alia, prohibited plaintiffs from bringing class action arbitrations, requiring customers instead to arbitrate claims individually. On April 27, 2011, the Supreme Court reversed and held, by a vote of five to four, that the FAA preempts California"™s Discover Bank rule. Justice Scalia"™s plurality opinion (joined by the Chief Justice and Justices Kennedy and Alito) concluded that the Discover Bank rule created a different law of unconscionability for class arbitration waivers in adhesive contracts. Thus, the FAA preempts the rule because it singles out arbitration agreements for suspect treatment. Justice Scalia pointed to research which demonstrated that state courts had become more likely to find an arbitration agreement unconscionable as opposed to other contracts. The plurality also noted that, although California"™s "rule does not require class-wide arbitration, it allows any party to a consumer contract to demand it ex post," thus defeating the purposes of the FAA. In some ways, AT&T Mobility is just a logical extension of the Court"™s FAA preemption cases. As in each of the Court"™s previous preemption cases (except Mastrobuono), the Court"™s decision resulted in the imposition of arbitration on an unwilling disputant. The decision, like the previous ones, preempted a non-arbitration state law. And, like its previous preemption opinions, the Court elevated principles of contractual autonomy over state law consumer protection regulations. In other ways, the case paved new ground, as it reflects the Court"™s first preemption of a state law "“ statutory or judicial "“ that did not specifically regulate arbitration agreements. Rather, the Court found latent anti-arbitration animus in the Discover Bank doctrine as the California courts applied that doctrine to arbitration agreements. Also, the Court effectively stripped arbitrators of a power "“ the power to conduct class arbitration proceedings (unless all parties expressly agreed to them), in contrast to its previous preemption cases that endorsed arbitrators"™ broad powers to fashion procedures and remedies to suit the parties"™ needs and the dispute. AT&T Mobility is notable for several other reasons. First, Justice Scalia"™s opinion reflected only a plurality. 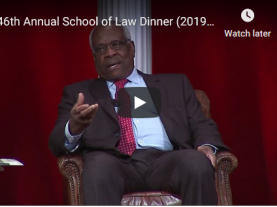 Justice Thomas authored a concurring opinion in which he reasoned that the savings clause of the FAA permits exceptions to the enforceability of arbitration agreements only for defenses that "relate to the making of the [arbitration] agreement. " Because the Discover Bank rule did not relate to the making of the arbitration agreement within the meaning of FAA sections 2 and 4, Justice Thomas concluded that it is preempted by the FAA. While Justice Thomas"™s interpretation of FAA section 2 differed from prior Supreme Court jurisprudence, and was not briefed or advocated by the parties, his vote was necessary for the reversal. Thus, his opinion, which arguably rests on narrower grounds than the plurality"™s, may be considered controlling for future cases. Second, the Court"™s singular distrust of class arbitration is palpable throughout the opinion, a distrust that also appeared in the Court"™s 2010 decision in Stolt-Nielsen S.A. v. AnimalFeeds Int"™l Corp. The Court identified three characteristics of class arbitration that it concluded defeat the purposes of the FAA and hinder the flexible party-driven process of arbitration: (1) sacrifice of informality and speed; (2) a requisite increase in procedural formality; and (3) an increase in risks to defendants in the lack of judicial review. Responding to the dissent"™s concern that class proceedings are necessary to protect against small-value claims falling through the cracks of the legal system, Justice Scalia declared that "States cannot require a procedure that is inconsistent with the FAA, even if it is desirable for unrelated reasons. " Thus, the Court went so far as to characterize class arbitration as not arbitration at all within the meaning of the FAA, but a process that alters the fundamental attributes of arbitration. While class arbitration certainly is different from bilateral arbitration, I do not think it is so different procedurally as to remove it from the FAA arbitration definition altogether. (Professor Strong of Missouri makes a strong case for this in her recent article on SSRN.) Ironically enough, the Court"™s very first FAA preemption case, Southland v Keating, arose out of a purported class arbitration of convenience store franchisee claims. The end result in Southland was forcing unwilling franchisees into arbitration, possibly using class action-type procedures. The end result in AT&T Mobility is somewhat the inverse "“ forcing consumers who wanted class arbitration into small claims arbitration. Why didn"™t the Southland Court balk at sending franchisees into class arbitration? Was class arbitration in 1984 closer to FAA arbitration than it is in 2011? Despite the Court’s consistent message to the states that there is no room to circumvent the FAA"™s ironclad support of arbitration agreements, I remain hopeful that, even post-AT&T Mobility, lower courts will find ways to counter the seemingly super-status of the FAA. In fact, in subsequent decisions, both state and federal courts have distinguished AT&T Mobility to invalidate class arbitration waivers. Several courts have pointed out that the FAA preempts only state laws, not federal laws. Thus, federal unconscionability law may still invalidate a class arbitration waiver. In addition, other federal statutes may trump the FAA, such as the Securities Exchange Act of 1934’s anti-waiver provision which may prevent the enforcement of a class arbitration waiver in the securities context. (Professor Black of Cincinnati points this out.) Finally, courts can give more teeth to the "vindicating statutory rights” ground as the ultimate policer of the fairness of arbitration. Under this doctrine, derived from the Court"™s pronouncement in Mitsubishi Motors Corp. v. Soler Chrysler-Plymouth, Inc. (1985) that "so long as the prospective litigant effectively may vindicate its statutory cause of action in the arbitral forum, the [federal] statute [providing that cause of action] will continue to serve both its remedial and deterrent function," a disputant can argue that an arbitration agreement is unenforceable because an unfair aspect of the arbitration process would preclude that party from vindicating its statutory rights. There seems to be little doubt that AT&T Mobility will have an adverse impact on consumer arbitration, as it effectively eliminates the states"™ ability to preserve class arbitration as a procedural method of aggregating low-value claims. However, if courts construe the decision more narrowly as preempting only California"™s "Discover Bank rule," rather than unconscionability rules nationally, the decision won"™t have quite the broad-reaching impact predicted by some commentators. More importantly, if courts step up their use of the "vindicating rights" doctrine as a means to police the fairness of arbitration, AT&T Mobility and the Court"™s other recent FAA decisions won"™t have quite the chilling effect on arbitration challenges that many arbitration law scholars have predicted.